Link building is an extremely important part of SEO. This is because search engines see links to your site as a sign that your site is popular and trustworthy, and therefore worth ranking highly. Search engines believe that trustworthy sites rank to other trustworthy sites, which is why it is also important to make sure that the links to your site are from high quality, recommendable sites. Building, maintaining and growing your website’s link profile should be a crucial part of your SEO strategy. 1) Find out where your competitors are getting links from. 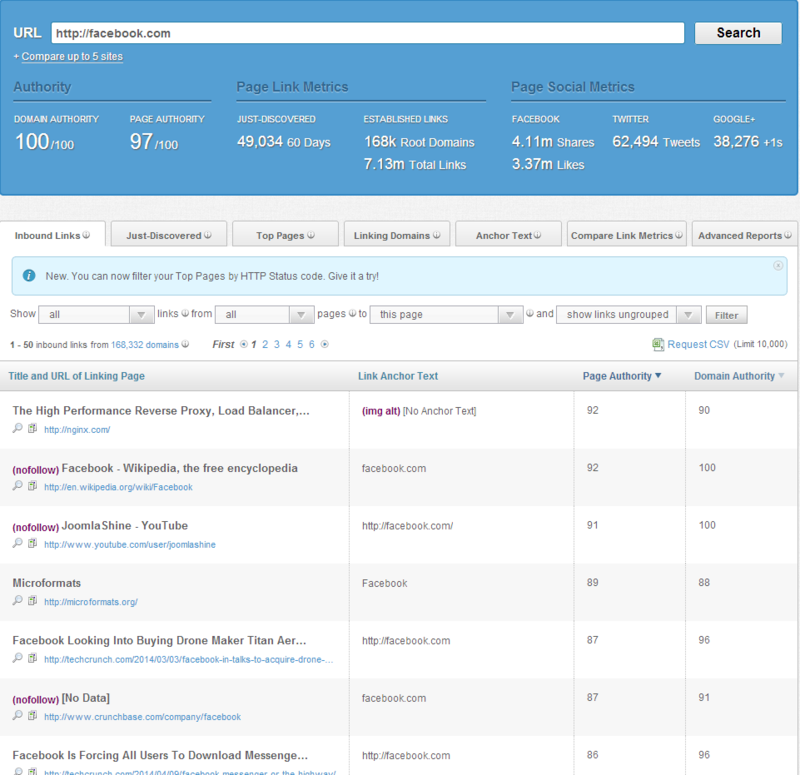 You can find out who is linking to your competitors sites by using Moz’s Open Site Explorer. Simply type in the URL of your competitor, and the tool will produce a list showing you the title and URL of the linking page and the link anchor text. This should give you a few ideas on where you can try and get links from, as if a site is prepared to link to a competitor, they are probably prepared to link to you too. Whatever you create, it should be original, interesting and unique – if people have seen it before, they won’t want to share it. If you have high quality images on your site, then people are going to want to steal them. You should make them embeddable so that when anyone tries to steal them, they will automatically be provided with an embed code containing a backlink. You can use a site such as embed.ly to do this. Getting involved with local charities, sports teams, events and anything else you can think of is a great way to get backlinks to your site. You could sponsor an event or sports team, support a charity or make donations. People will be more than happy to link to your site if you are giving something back to the community. By raising your local profile, you will also be more likely to get links from local bloggers and organisations. Note: with all links to your site, it is important to ensure that a targeted phase containing one of your keywords is included in the anchor text. Your site is more likely to rank higher for that keyword if it is included in the anchor text. The engines use this anchor text when ranking for keywords, so avoid anchor texts such as “click here”.